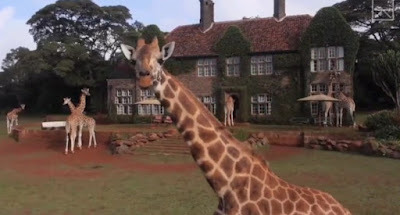 Giraffe Manor in Nairobi, Kenya was built in the 1930s but today its main purpose is somewhat different to its original design. It serves as a sanctuary for a herd of Rothschild’s Giraffes, a highly endangered species and the manor has been involved in their conservation since the 1970s. Photographer and author Robin Moore captured these wonderful shots of the giraffes – seemingly in their element and completely at ease with the tourists around them. In fact, to the giraffes, the presence of a few people seems to be just a minor complication in their quest for food! It just goes to show that conservation takes many forms. In a perfect world, perhaps, there wouldn’t be a need for places like Giraffe Manor yet with their numbers declining rapidly, anything which draws attention to their plight has to be applauded. 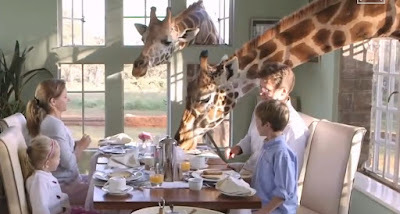 The video was produced for "This Happened Here" on the Seeker Network from Discovery featuring Robin’s images and video from Giraffe Manor. 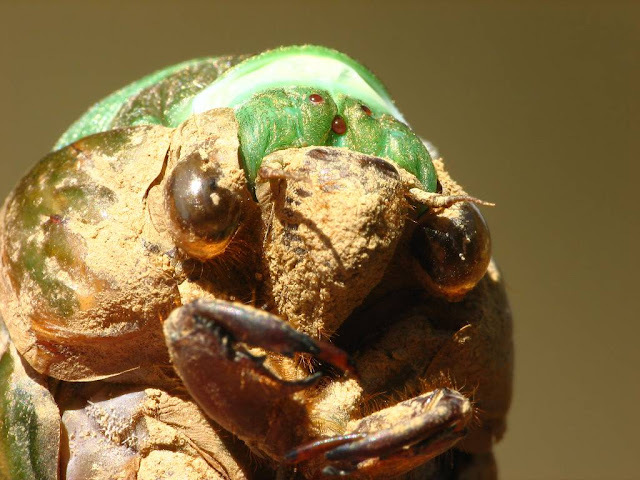 Many invertebrates go through a process called ecdysis. Taken from the ancient Greek the word means, literally, to strip off. It leaves behind an exuviae (often spelled with the final e omitted), the remains of the exoskeleton which has been shed, often with related structures still attached. For some invertebrates it can be a regular occurrence to facilitate growth. For others it can be part of a series of instars which culminate in the emergence of the finished, adult form. It is a fascinating process where beauty can be found in the grotesque. For these animals, however, the process of growing up is far more than simply skin deep. 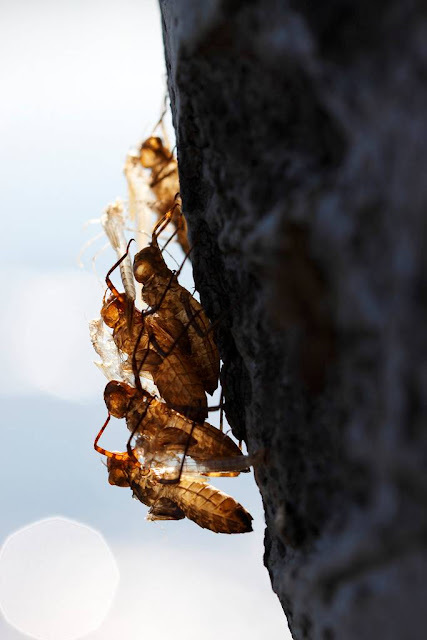 Essentially, ecdysis is the molting of the cuticle, the tough multi-layered cover outside the epidermis that provides protection as an exoskeleton. The exoskeleton must be shed as it constrains growth. First, the cuticle separates from the epidermis – yet the arthropod remains inside for now - this is called apolysis. Next, a hormone called ecdysone is secreted from the epidermis. It fills the gap between the old cuticle and the epidermis which is known as the exuvial space. The enzymes in the hormone are not activated until a new epicuticle (the outermost waxy layer of the arthropod exoskeleton) is formed. Once this is done they kick in and the lower regions of the old cuticle are digested. Finally the process of molting can start. What on Earth is this Swan Doing? I was recently on vacation with my family in Chester (North England) and on one of our walks along the local canal we came across this swan. 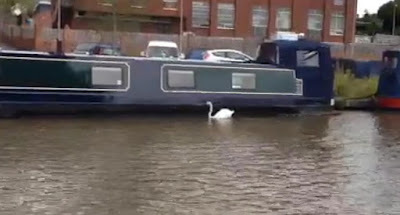 He (or she) seemed intent on swimming up and down alongside a barge. Our best guess was that the swan was trying to catch small insects that, for whatever reason, were congregating there. Is there anyone out there who can confirm this? Is this normal swan behavior?